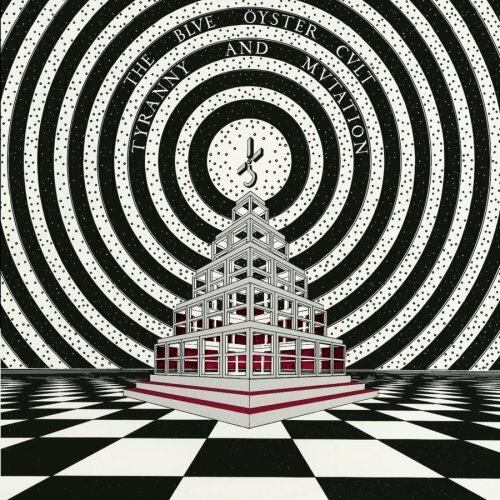 Tyranny and Mutation (on the album cover: THE BLVE ÖYSTER CVLT: TYRANNY AND MVTATION) was the second album by the American hard rock band Blue Öyster Cult, released on February 11, 1973. The album was recorded from songs written while touring in support of their eponymous debut album. Blue Öyster Cult continued to develop their style of “intelligent heavy metal” on this record. “Baby Ice Dog” features lyrics by poet Patti Smith, who would ultimately make several more lyrical contributions to the band’s repertoire over their career. The song “The Red and the Black” is a re-titled, re-recorded version of “I’m on the Lamb But I Ain’t No Sheep” from their previous album. The lyrics are a reference to the Royal Canadian Mounted Police.